Do you know the benefits of drinking coconut water? Read on to learn more about this tasty beverage and enter to win a case from Amy & Brian Naturals! It can help you lose weight. Coconut water is a delicious drink with very little calories so you can lay off the juices and sodas. Coconut water will help you feel fuller because it is full of vitamins and minerals. It helps you stay hydrated. Coconut water helps keep you hydrated way better than sports drinks because of it’s potassium content. Next time you exercise, reach for the coconut water to quench your thirst! It aids your digestive system. No one likes to talk about ‘being regular’, but coconut water is loaded with fiber to help your digestive system. It’s 100% natural. While it isn’t a calorie-free drink, you can enjoy coconut water without feeling guilty because it’s an all-natural drink that is packed with vitamins and minerals. Amy & Brian Naturals, a family run business, has been selling coconut water for over a decade. Sourced only from young green Thai coconuts, Amy & Brian coconut water has a natural sweetness and well-rounded coconut taste with no added sugar. Available in a variety of flavors (including lime, grape and cinnamon) and sizes, Amy & Brian is passionate about giving consumers a great tasting product. Amy & Brian Coconut Water can be found with or without pulp in mainstream and natural specialty supermarkets throughout North America. 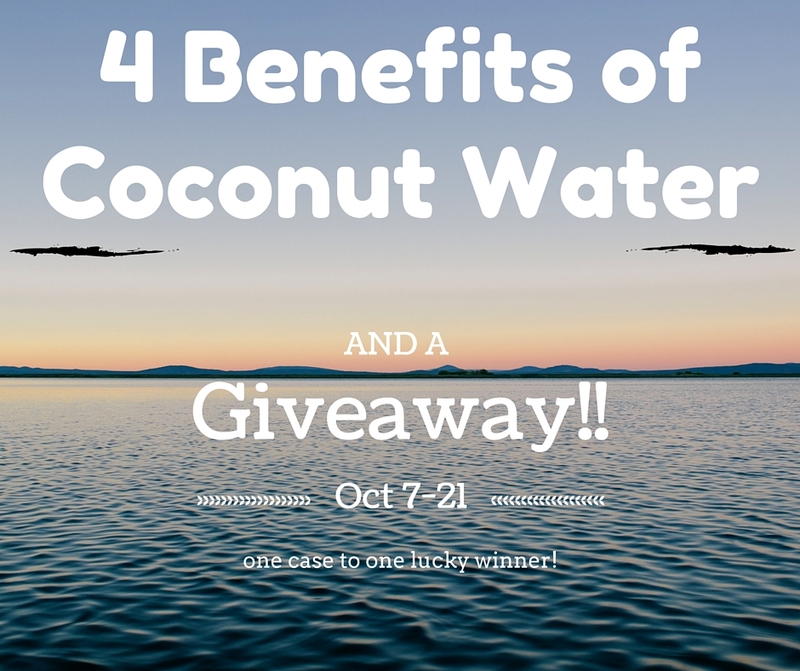 Enter below for your chance to win a case of Coconut Water from Amy & Brian Naturals! One lucky winner will receive a case of their choice, in either cinnamon, grape, lime, with pulp, or original. I’d like to try the lime flavor. We’ve been aware of Brian & Amy’s for years. Found them for a discount subscription rate on Amazon. My other 1/2 likes it w/ pulp, me the lime. I would love the original or the cinnamon – I am torn on which one! I would like to try the lime flavor. Isn’t there a song about putting the lime in the coconut. I would love to try the lime flavor. We would love to try the original flavor. Grape coconut water sounds like an interesting flavor to try – that’s what I would like to sample. I would love lime! Lime is refreshing, and combined with the coconut water, it sounds like it would be very tasty! I would love it. I would like to try the Original flavor. I think I’d stick with the original, though the lime sounds pretty good too. I would like to try the original flavor of coconut water. Then I’d want a taste of the lime! I would love to try the With Pulp flavor. Thank you for the wonderful giveaway. I’d love to try the cinnamon flavor! I’d like to try grape flavor. I would definitely like to try the original. I would like to try the original first. toss up between the original & the lime. I want to try original! The Cinnamon sounds fun for fall. I would like to try the original flavor! I want to try the original flavor. Thanks for the chance! I would like the Original flavor. i think the cinnamon one sounds yummy. It would have to be the original one. I would like to stay with the original. I would just like the original. Grape sounds way out there. But the one with pulp looks awesome too! I’m a big fan of the original flavor. I think the lime would be my favorite. I like lime in most things so I would like to try it with coconut. I would like to try grape flavor. I would like to try the lime flavor. I want to try all of these flavors so much! Thank you for introducing me to this company. I would love to try the Lime flavor! I drink the original one almost daily. But I really would like to try the cinnamon! I want to try the one with pulp. i would love to try the lime flavor ones ! I would like to try lime. I’d like to try the Lime. I’m interested in trying cinnamon. It seems unique. Thanks! I would love the lime.